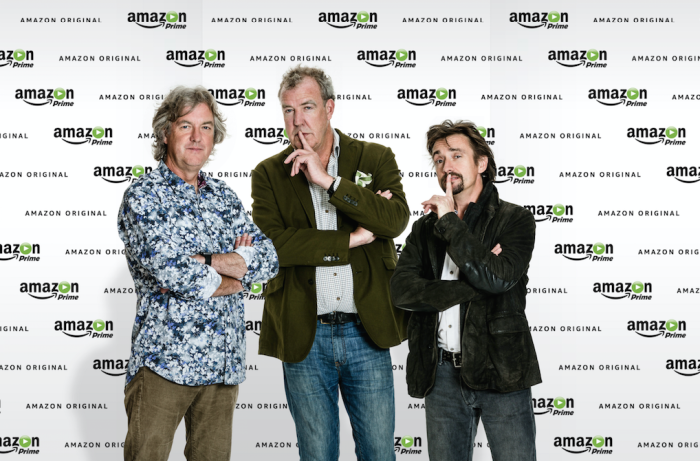 The Amazon show has been one of Prime Video’s biggest original programmes to date, kicking off its global launch last year, fuelled by the international fame of Jeremy Clarkson, Richard Hammond and James May, following their years hosting BBC’s Top Gear. The new series of The Grand Tour will see the trio travel through more locations, attempting to avoid any further mishaps and injury along the way. They will spend over 100 days across five continents, racking up passport stamps from Croatia, Mozambique, Dubai, Spain, Switzerland, Colorado and New York and other exotic locations around the world. Given their sore joints, struggling lungs and combined age of 158, the studio tent has been given a new home in the Cotswolds. Now, Amazon is inviting customers around the world to apply to be on the studio guestlist and join Clarkson, Hammond and May in their home country. To apply for tickets, head to amazon.co.uk/GTTickets. Applications are accepted until Tuesday 3rd October. Dubai will be the final destination for Amazon’s The Grand Tour. Jeremy Clarkson, Richard Hammond and James May have been travelling the world filming the first series of The Grand Tour in far-flung locations across the globe. The team has already taken the tent to Johannesburg, California, Whitby, Rotterdam and Lapland with Stuttgart, Scotland and Nashville next on the itinerary. After a year-long journey around the world, the trio will head to the UAE for the final studio segment of their new Amazon original series. This December, the show’s flagship giant tent will be pitched at the base of the world’s tallest tower, The Burj Khalifa, located in the heart of Downtown Dubai. As with all of the show’s other locations to date, Amazon has invited members of the public to apply online to be part of the studio audience. The Grand Tour, which has been shot in 4K Ultra High Definition, will launch on Friday 18th November exclusively for Amazon Prime Video members, with new episodes available to watch online weekly on Fridays for 12 weeks. The first trailer for Amazon’ The Grand Tour has raced online. The motoring series, which reunites Jeremy Clarkson, Richard Hammond and James May after their conscious uncoupling with BBC’s Top Gear, has become one of the site’s most anticipated original shows, especially with the mixed response to the Beeb’s attempt to reboot its car programme with Chris Evans. What can we expect? Much of the same, suggests this entertaining new trailer, which puts the banter between the three presenters front and centre. 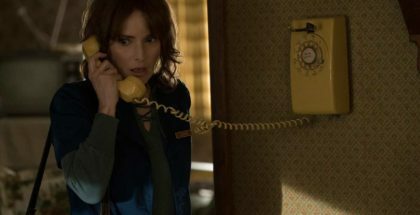 The show’s premise? Simple: “We’re going on a road trip in very exotic cars.” And, as the video points out, what could possibly go wrong? After all, there’s only been one “minor fire”. The Grand Tour premieres on Friday 18th November, with new episodes arriving every following Friday for 12 weeks. A subscription to Amazon Prime Video costs £5.99 a month as a standalone subscription, with no contract and a 30-day free trial, or it’s included as part of a yearly Amazon Prime membership, which costs £7.99 a month or £79 a year (equivalent of £6.58 a month). For more information, hit the button below. 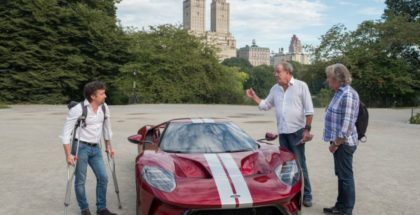 Amazon’s The Grand Tour has begun its roving studio jaunt around the world, giving us our first look at Clarkson, Hammond and May’s new motoring show. 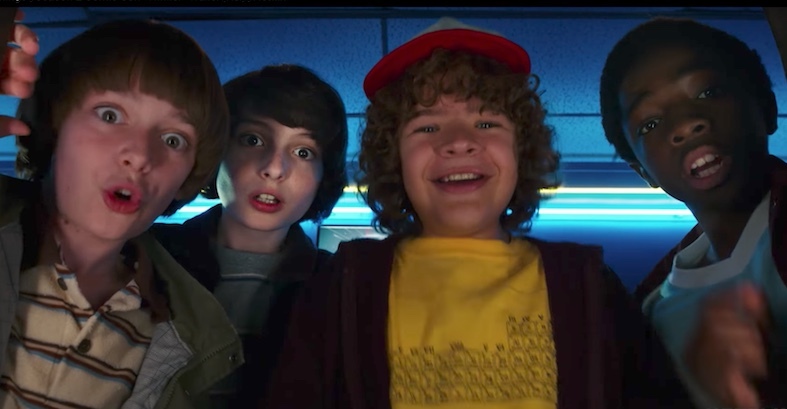 Shot in a giant tent, the studio segments will be incorporated with other pre-recorded films and videos to make up each episode of the 12-part first season. 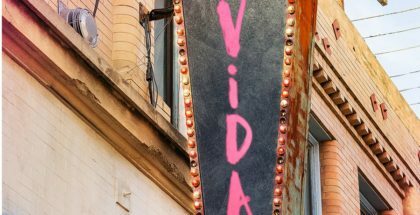 Fans are being given the chance to win tickets to attend the filming, which will also go on to take place in locations as diverse as the UK, USA and Germany. On Sunday 17th July, the show’s first studio shoot took place in Johannesburg, South Africa, and photos from the day have been released by Amazon, giving us our first real idea of what this show will look like. The answer is a more intimate affair than Top Gear’s gigantic hangar, with their smaller (but still notably large) green tent boasting a snazzy woody platform and rug to accommodate the three presenters, who sit around a table. Suitcases and other travel paraphernalia adorn the set, with large windows behind them to highlight the ever-changing backdrops they’ll be hopping between. Jeremy Clarkson, Richard Hammond and James May have taken to social media to post videos and photos of the shooting, with Clarkson saying that he “loved today”. The show premieres exclusively on Amazon Prime Video this autumn, several months after the lukewarm return of the BBC’s rebooted Top Gear.